How do I use cheats on my ARK server? How do I join my ARK server? How do I manually save my ARK server? How do I adjust the ARK server settings? How to reset my ARK server? How do I make myself admin on my ARK server? Go to your serverlist and log in with your credentials. Click on your ARK server. Make sure your server is closed. Click in the upper bar on the button "Startup". Fill in a strong password underneath "Admin password". 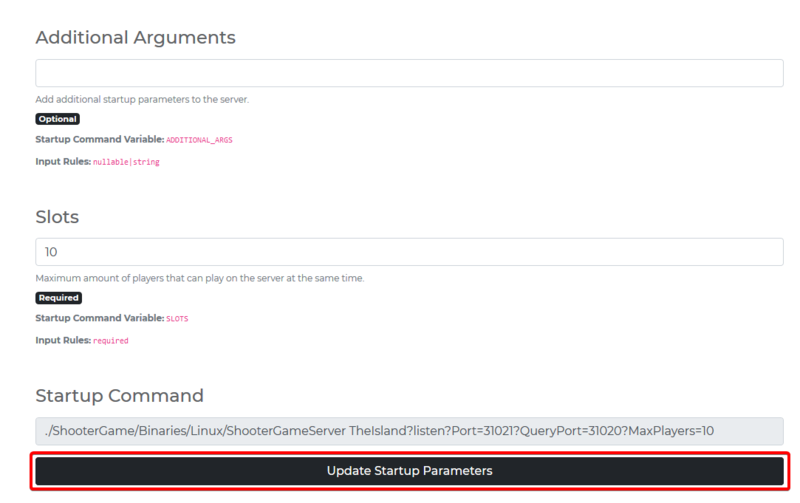 Click on "Update Startup Parameters" at the bottom of the page. Just restart your server to apply the changes you made.